Why Own a Judgment Collection Business? Thousands of people win lawsuits daily. These are all your potential customers! 80% of judgments go uncollected. Creditors need you to help collect. You collect the money from debtors via our efficient, simple and proven methods and get paid for collecting. A judgment is a court-issued piece of paper stating that the creditor has won the lawsuit and its entitled to a certain amount of money from the debtor. The state of New York grants judgment collection companies the ability to collect using different tactics, which we will train you in. We will set up your entire company and train you within the first 30 days. We will set you up with a website and have you listed in directories where customers can find you. We will give you the marketing material you need to pitch prospective clients. We will provide you with access to various databases to research debtors and find their assets. We will introduce you to NYC Marshals and legal departments at major banks who will work with you in collecting debtors' assets. 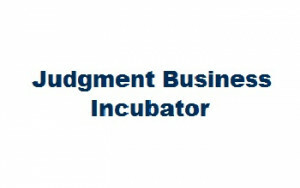 This business opportunity is brought to you by the founders of the billion dollar marketplace for judgments. We know exactly what it takes to be successful in the industry and have all the tools and answers that it takes. The business is proven to work. If you're serious, then so are we. Request more information below!